JOHN HUMBLE (b. 1944, Washington DC) earned a Bachelor of Arts from the University of Maryland, College Park, and Master of Fine Arts from the San Francisco Art Institute. He is a Vietnam War veteran and former photojournalist for the Washington Post. Humble’s impressive body of photographic work is informed by his extensive world travels. He is best known for his in-depth series of landscapes documenting Los Angeles, where he has lived since 1974. 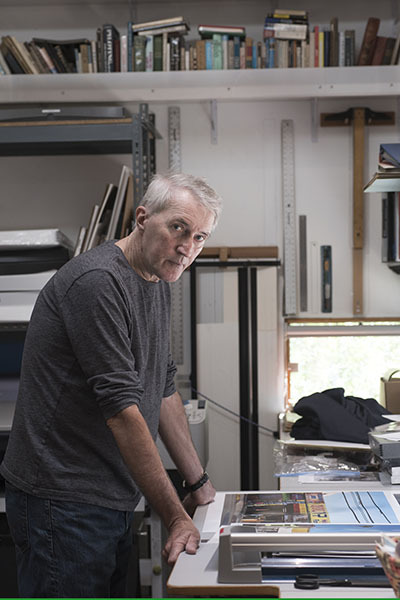 His photographs have been featured in solo and group exhibitions internationally and are in the collections of a number of prominent institutions, including the Corcoran Gallery of Art, the J. Paul Getty Museum, the Los Angeles County Museum of Art and the Museum of Contemporary Art, Los Angeles.